The S-WINGS story began, as is often the case these days, with a casual exchange on a social network. Phillipe came across a post by "Twig" Baker, showing a surfboard and fin by Cheyne Horan (legendary surfer from the 80s, often cited as a visionary and an innovator), and urging a rethink of the design of surfing equipment/gear for big waves. 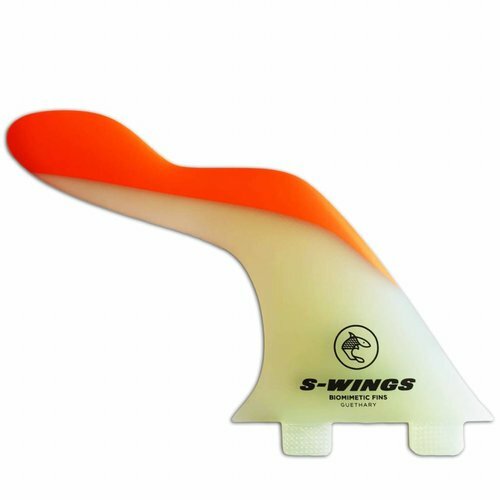 Philippe Gray-Lopez (surfer, biodesigner, sculptor) discussed the topic with Twig, and built a prototype based on the concept of a fin with a very long tip, allowing the surfer to keep control of the board during an air-drop in XXL conditions. Almost an anti-foil, this beast of a fin was 30"/75cm long. The prototype was unveiled at MIACS in June 2014. Out on the surf, all was soon revealed. 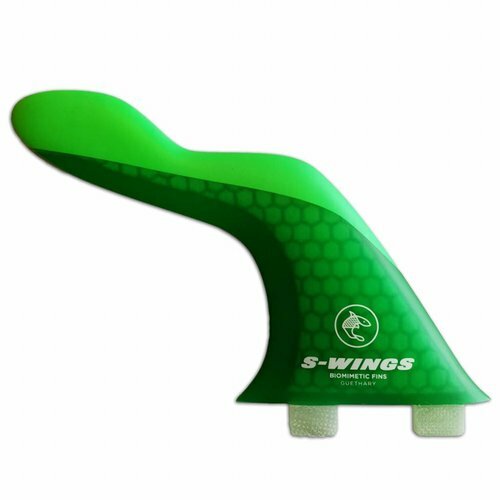 From the very first waves, Xabi could feel the merits of this design, with more control and more acceleration in his surfing. By the end of this session, it was a done deal. The two friends decided to join forces and register for a patent for this new fin concept. 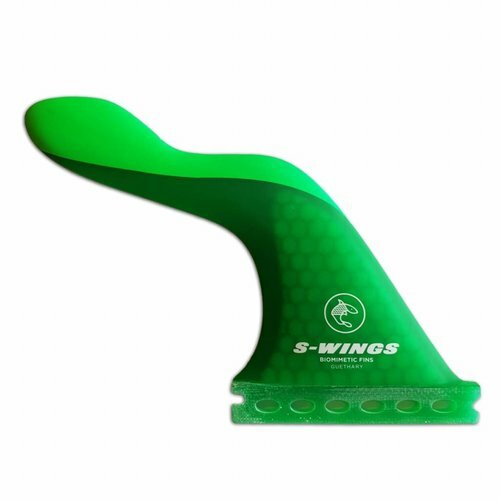 Fast forward to 2017: the likes of Tom Curren, Mason Ho, Mark Richards and more have given the nod to S-Wings' highly innovative fin design, claiming significant gains in hold, projection out of turns and higher overall acceleration when riding S-Wings. Translation: ride these real-life freaks of nature, and every single session* will bring an even bigger smile to your face.